The 2015 UUA General Assembly is over now and we are finishing tallying up, following up, and evaluating how it went and what we will do differently next year. GA is always a fantastic time to connect with each other in person and to introduce the Association to a whole new group of UUs. The UU Humanist Association is proud to stand with the AHA and our other Secular Coalition for America partners as signers of this letter to all members of the U.S. House of Representatives encouraging them to support the resolution to oppose blasphemy laws. The Humanist Institute offers a Certificate in Humanist Studies. Students are enrolled in a small class (a maximum of 15 people) convening for eight sessions over two and half years. Classes meet in March, August and November. Prior to and in-between sessions, students prepare for class sessions through independent distance study and online discussion guided by the Assistant Dean and faculty. The Humanist Institute does allow individuals to take just one year of it’s graduate-level program. This option allows students to gain an understanding of the Humanist life stance, values, and principles as well as Humanism in relation to others. 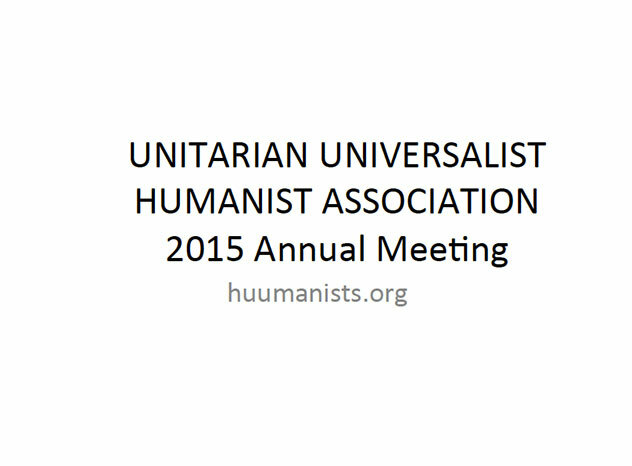 Seth interviewed UUHA board member David Breeden, minister at First Unitarian Society of Minneapolis, as well as Mike Werner, author of "Regaining Balance: The Evolution of the UUA", a book published by the UU Humanists, and others. At GA in Providence this last June, some brave souls, including UUHA president John Hooper, were invited to Pledge Over the Edge in support of the Rev. Terry Sweetser Fund for Stewardship of the UUA. Here are some pictures of John and his friend from the UUA President's Council, Les Polgar, from California, rappeling down the side of the Providence Convention Center.